Situated on a peninsula in San Diego Bay, Coronado is a small, affluent resort city featuring world-renowned beaches and the iconic Hotel del Coronado. Besides being a major tourist destination (there are three major resorts on the island), Coronado is also home to a large military contingent, with both Naval Amphibious Base and Naval Air Station North Island located in the area. In the early nineteenth century, before Coronado was Coronado, the land was used as a harbor for whalers, who built hide houses in order to carry out their work. The land was still under Spanish control, but 1821 marked Mexico’s independence from Spain. Land grants were issued and the peninsula we know today as Coronado changed many hands before it was purchased by Elisha Babcock, Jr., Hampton Story, and Jacob Gruendike on November 19, 1885. Babcock invited Heber Ingle, his brother-in-law, and a railroad stockholder named Josephus Collett to become mutual investors. These founders then organized the Coronado Beach Company on April 7, 1886, planting the seeds for current day Coronado. Work on the new town began promptly with the division and landscaping of lots. Water and irrigations systems were constructed and railroad tracks were laid. The San Diego and Coronado Ferry Company was established on April 16, 1886 with the ferry completing its first run in August. Lots were auctioned off in November. With the community finally coming together, the founders hired architects James and Watson Reid to design the Hotel Del Coronado in March of 1887. The hotel opened its doors February 19, 1888. Construction and development continued in the area, eventually including a naval base in North Island. Home design in Coronado embodies a unique style that reflects the town’s proximity to the sea. Many homes feature classic California Spanish design while incorporating aspects of the beachside cottage. The Hotel Del Coronado is a beautiful example of the wooden Victorian beach resort, a remnant of an American architectural genre that still stands out today. 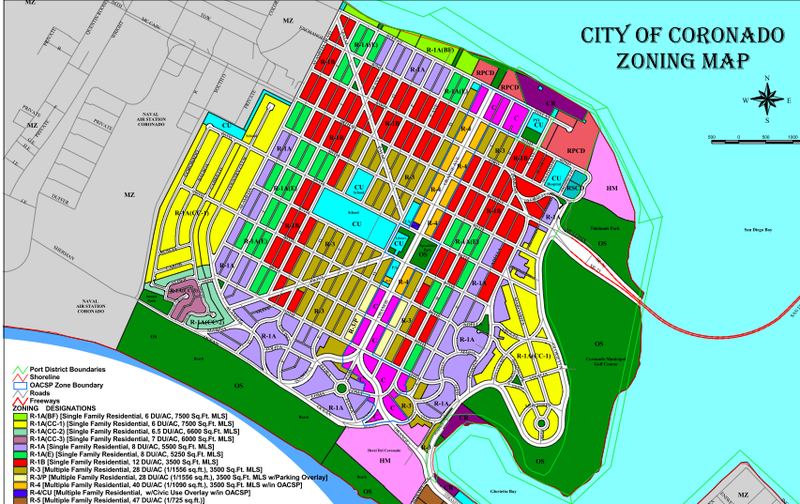 Space is extremely limited in Coronado, and a large majority of the home types allowed by zoning laws are single-family homes. Considering the median home value in Coronado is over $1.5 million, homeowners in the city tend to stay put and elect to enhance the value and functionality of their investment through various home remodeling projects. Murray Lampert Design, Build, Remodel has been working with Coronado homeowners to provide professional construction, architectural design, and home remodeling services since 1975. Over the years, we’ve built lasting relationships with the best inspectors, suppliers, and trade partners in San Diego, ensuring that every project is completed on time and within budget. Our reputation is built on a solid foundation of customer service, professional design, excellent craftsmanship, and punctual completion. Our team is proud to have received the BBB Torch Award for marketplace ethics from the Better Business Bureau on four occasions and the Best of Houzz award for customer satisfaction in 2014, 2015, and 2017. We maintain an A+ rating with the BBB, and we are active members in various professional organizations, including the San Diego Regional Chamber of Commerce and Build It Green. Architectural design – Our staff architect works with each and every client to develop a completely personalized design that suits individual tastes and budget. 3D project remodel – We use state-of-the-art technology to create a 3D rendering of your finished project, giving you the chance to see what your remodeled home will look before we get started. Kitchen remodel – Our custom kitchen remodels in Coronado create an aesthetically pleasing space that doesn’t sacrifice warmth, comfort, or functionality. Second stories – If you have limited yard space, expand your home vertically and enjoy new sights. We’ve built custom second stories in Coronado, effectively adding valuable square footage for homeowners. Room additions – Our room addition services in Coronado allow you to add an extra bedroom or create the home office you’ve always dreamed of. Outdoor space – Coronado is an ideal place to enjoy San Diego’s wonderful weather. We can help you design and build a custom outdoor living space to take it all in. Our Coronado home remodeling and design-build process starts with a free in-home consultation. Our staff architect will meet with you one-on-one to collaborate on your budget, tastes, and remodeling needs. Using 3D rendering software, we’ll then create a virtual walkthrough of your home so that you can visualize the finished piece. Once everything is to your liking, our team will get all of the necessary permits in place, source the necessary sub-contractors, vendors, and suppliers, and keep you in the loop every step of the way. If you have any questions about our design, build, and remodel services in Coronado or you’re ready to schedule a free in-home consultation, we are here to help.